Mummy's Space: L.O.L Surprise! Dolls are Here! L.O.L Surprise! Dolls are Here! 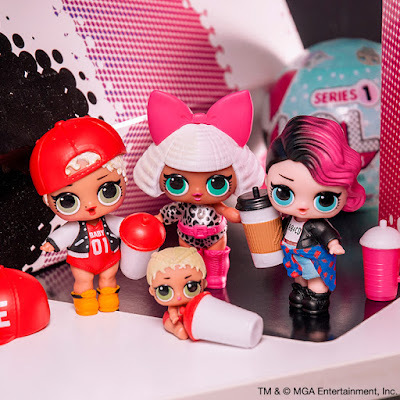 L.O.L Surprise dolls are set to be the next big collectable craze in the UK. They have already proven to be a massive hit in the US as the ultimate unboxing toy combined with the anticipation of surprise. These dolls are described as "fashion-forward characters" and "packed with personality". From Rockers to Merbabies, each doll comes complete with bathtub, doll stand and hangout, all doubling as a purse. The biggest surprise is when the final layer has been unwrapped and you feed the tot water with its baby bottle as this is how you reveal its feature, some special dolls even change colour when placed in water. There are over 45 different dolls to collect and they are suitable for children aged 3+ . They are available to purchase for all good toy retailers including Argos, Tesco and ToysRUS with an RRP of £7.99. If Zoey's reaction is anything to go by I can confirm they would make the perfect gift for any little girl, so much fun and excitement as each layer unfolds. I wish there was a boys equivalent as Zachary and Ben were quite jealous as Zoey was having fun discovering what was hiding inside. 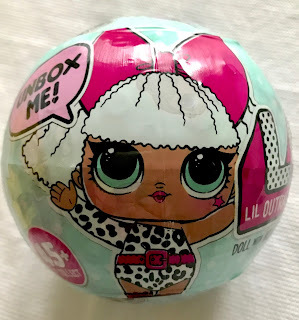 *Disclaimer: I received a L.O.L Surprise doll for review. All views and opinions are my own and unbiased.